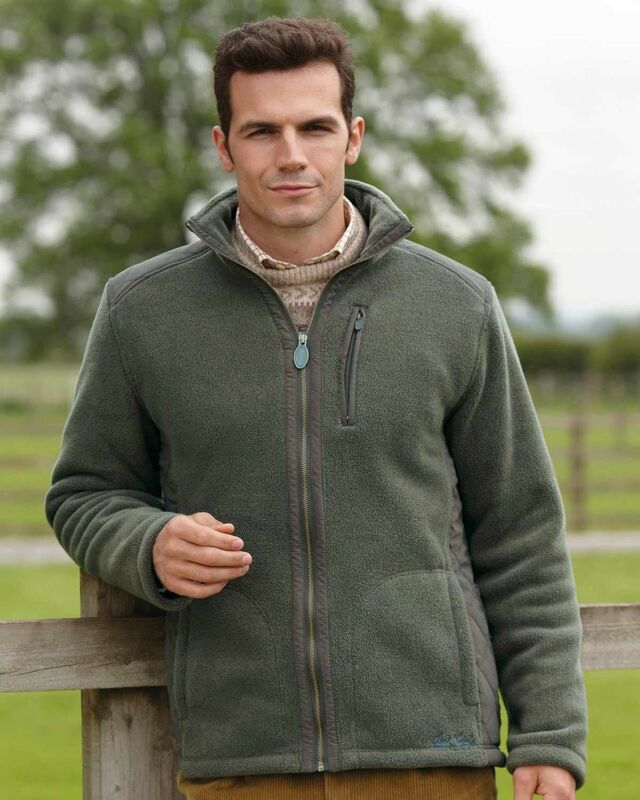 Zip front jacket with contrasting, quilted microfibre side panels and back yoke. Front waist pockets and single zipped chest pocket. Cut from warm, polyester fleece. Machine washable.